Young ladies used to embroider tea towels for every day of the week and then put them in their “hope” chest. This entry was posted in Minimalist and tagged Aunt Martha's, embroidered tea towels, Hope chest. Bookmark the permalink. 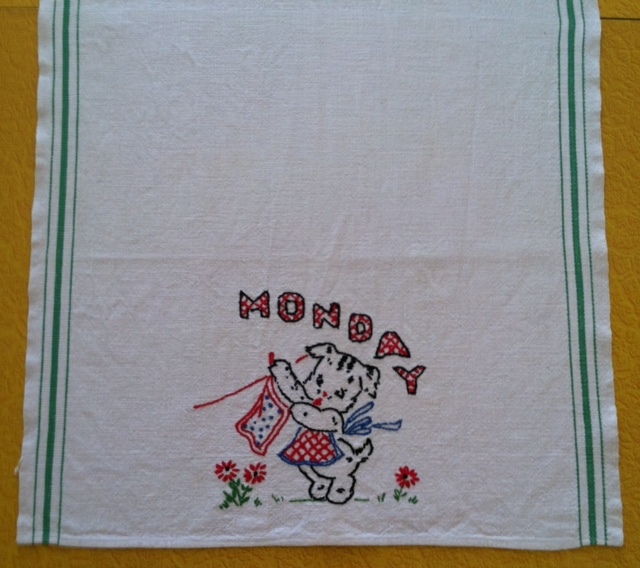 Didn’t young ladies used to have britches with the days of the week embroidered on them, too? In their trousseau? That is likely, Reggie. But then they started stamping them with the days of the week at little factories in China, I think. I’m sure it will be trending again before we know it!